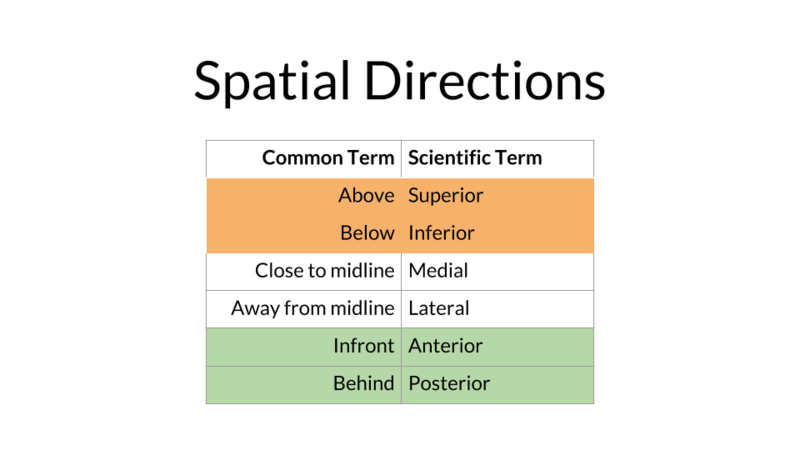 We want all of our students to show up to our course with the same baseline knowledge of anatomy and understanding of commonly used vocabulary, so that we can jump into the fun stuff as soon as possible. 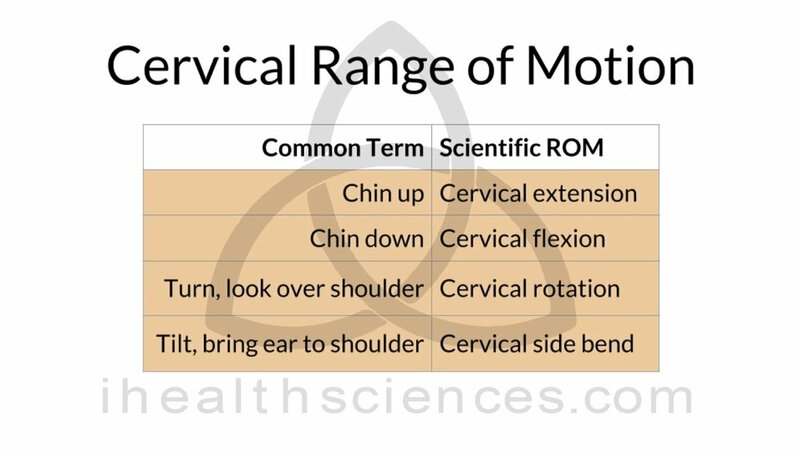 Here is information including videos breaking down the ranges of motion by body part. 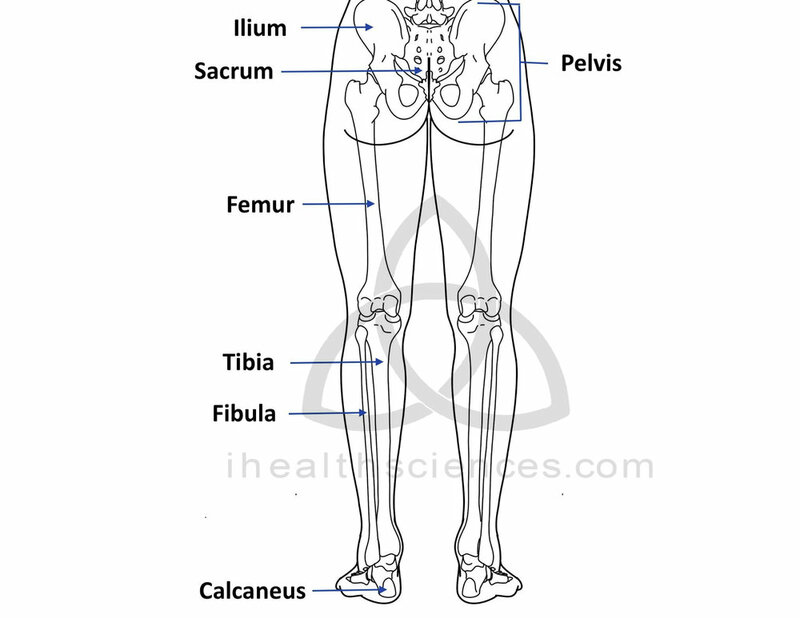 Follow along with Steve and the tables to understand how each part of the body can move. 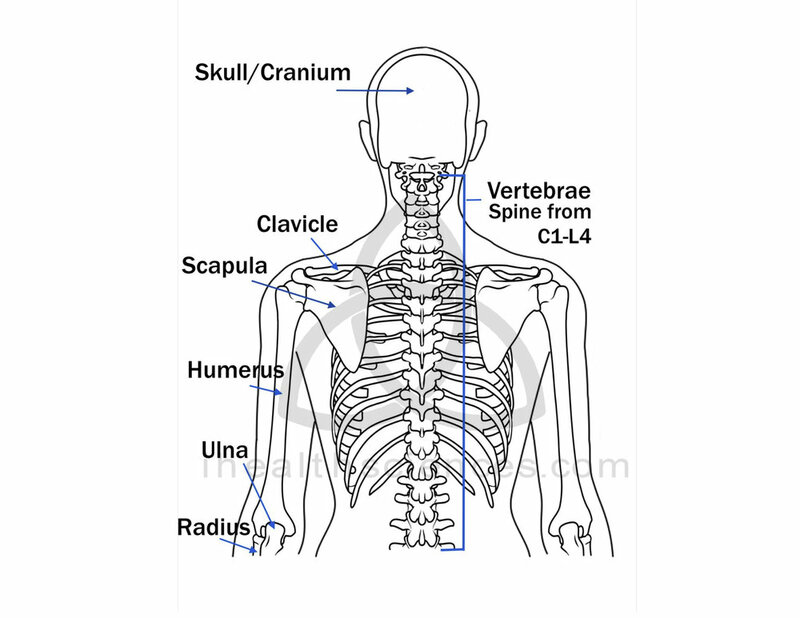 The 3 planes of motion break down the body into flat surfaces, representing the different planes that the body can move through. 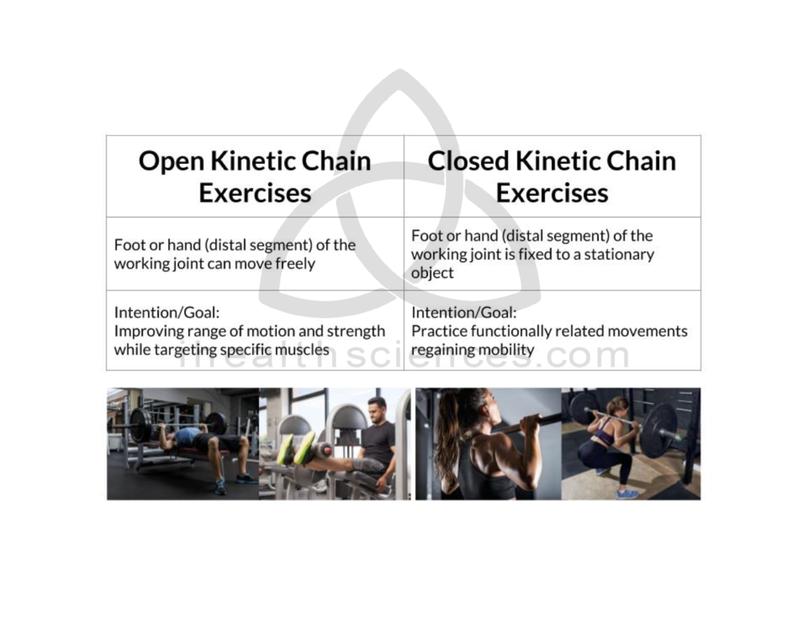 Categorizing movements into the three planes of motion is important because we’re always moving through all of them, but our workouts don’t always reflect that. 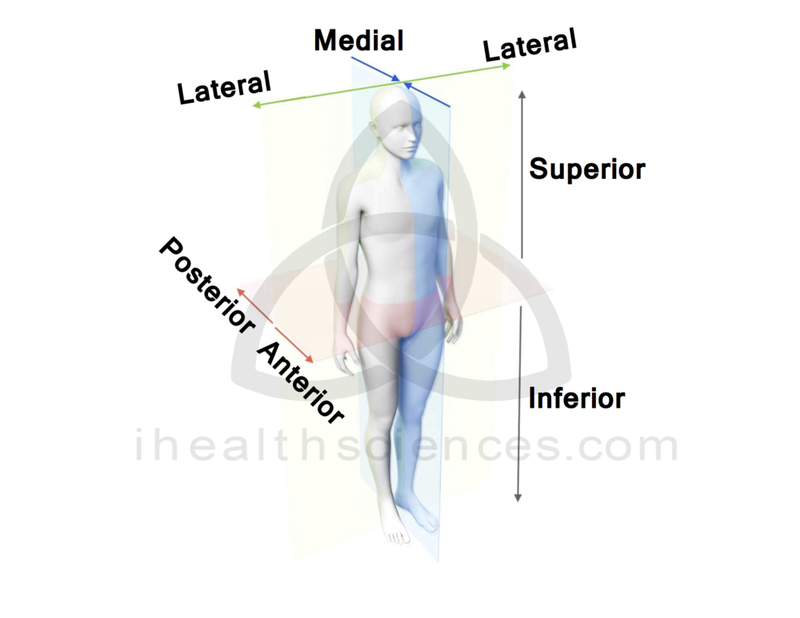 The sagittal plane splits the body into sides, left and right or medial and lateral sides. 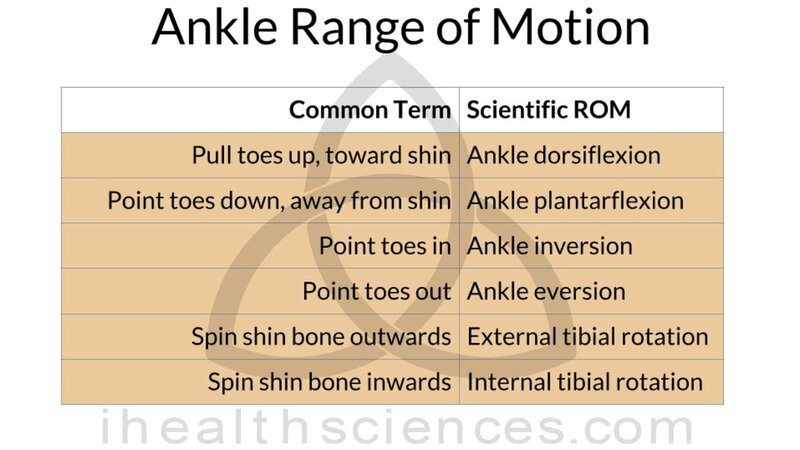 Flexion and extension, and ankle plantar flexion and dorsiflexion occur in this plane, so any movement that occurs straight front and back, and doesn’t cross your midline is considered to be in the sagittal plane. Making this the most common plane of motion because walking, running, and standing up from a seat all occur in this plane. The frontal plane separates the body into front and back, or anterior and posterior, like when doing a snow angel on the floor or against a wall. Abductions, adductions, and side bending occur in this plane. The transverse plane separates the body into top and bottom, or superiorly and inferiorly, as if you stepped into a pool. Rotations and horizontal abductions and adductions occur in this plane. 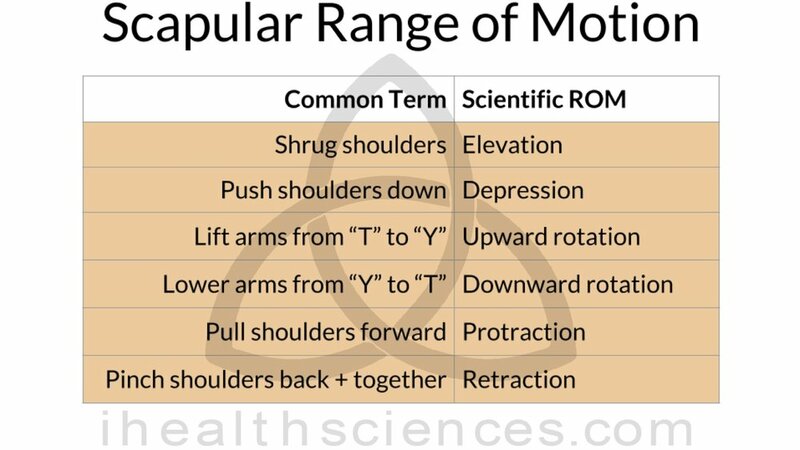 Isometric: Isometric muscle actions - featured in immunity challenges on Survivor since 2000 - are contractions that result in no length change in the muscle. This picture is showing the static, but isometrically contracted muscles during a plank. Remember the relationship between the muscle's contractile force and the resistant force due to gravity and any additional weight. 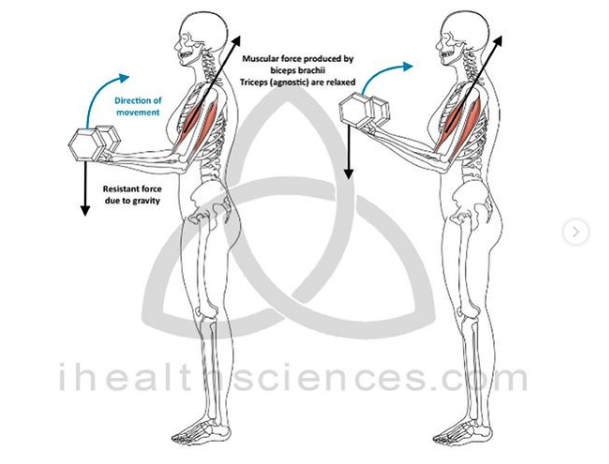 During isometric muscle contractions, the contractile force matches the resistant force and results in a static plank. If you think of it as a competition between muscular contractile force and resistant, gravitational force, the two forces are tied during isometric contractions. Concentric, which is used to describe actions that shorten the muscle length. These pictures show a bicep curl and an overhead triceps extension, both during the concentric phase of the exercise. Consider the relationship between the contractile force of the muscle and the resistant force of gravity + any additional weight. When the contractile, muscular force is greater than the total resistant force, and the muscle overcomes the resistance to complete the movement, it is a concentric action. If you think of it as a competition between the muscular force and the resistant force, the muscular force wins in this case. Check back tomorrow night to learn about eccentric muscle action! Eccentric muscle actions! The muscle lengthens during this contraction, and actually produces the greatest force out of the 3 types of contractions. Here we’re showing the eccentric phases of a bicep curl and an overhead triceps extension. 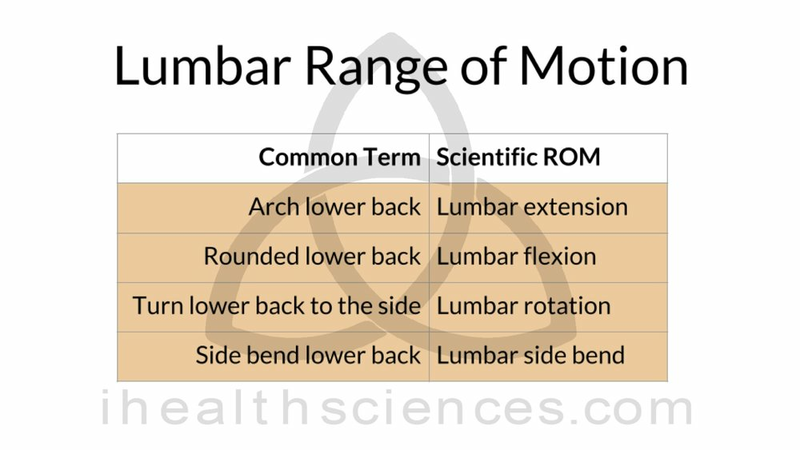 Recall from our last post that muscle action categories are based on the affect of the movement on the muscle length; whether it shortens, lengthens, or remains the same. Now we’re going to talk about the movements that cause muscles to lengthen: eccentric actions. 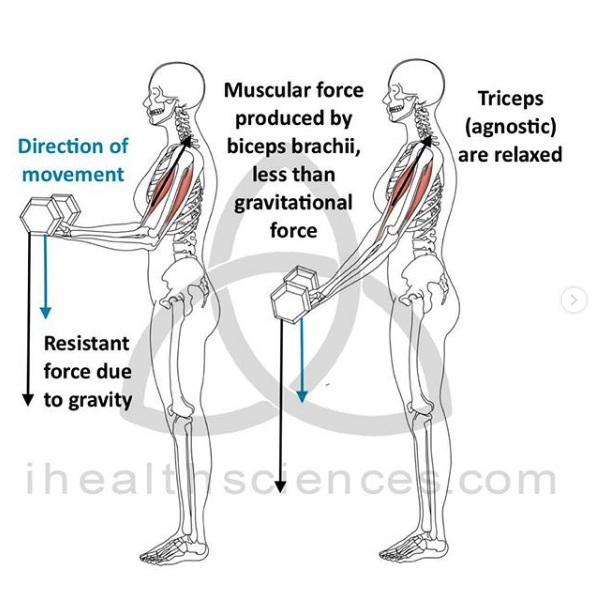 Again, we're going to consider the relationship between the muscle's contractile force and the total resistant force from gravity + any additional weight. During eccentric contractions, the force produced by the muscle is less than the resistant force from gravity and the weight, resulting in a slow and controlled movement of the weight in the direction of gravity. The muscle actually produces the greatest force during eccentric contractions. Thinking of it as a competition between muscular and resistant force, the resistant force wins during eccentric contractions.